For the uninitiated, whisky can be a tough – and expensive – category to crack. Whisky consumption in Australia has been rising steadily over the past decade, a trend that doesn't look like slowing down. You don't always have to reach for the top shelf to get hold of something worth drinking. Great whisky should have a great story, too, so you can supercharge your gift giving with a bit of banter to go with what's in the bottle. If you're after a dram for yourself or to impress the whisky lover in your life, check out these 10 great-value whiskies and the fascinating stories behind them. The pitch: Japanese whisky tends to be lighter and more floral than its Scottish counterparts to match the local palate more used to sweet and aromatic drinks such as sake. This vibrant, fruity and floral dram has a subtle complexity that's unquestionably Japanese and provides a warm introduction to the style. The story: Hakushu is made by beverage giant Suntory (the brand Bill Murray is spruiking in Lost in Translation), the first company to successfully make and market whisky in Japan. 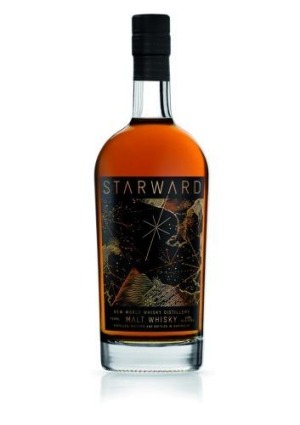 The pitch: Starward is the best of the new wave of Australian whisky for the price. Fruity, nutty and with the complexity of a much older whisky, Starward exemplifies Australia's freedom to experiment, unfettered by traditional production laws. The story: Produced in, of all places, an aircraft hangar in Essendon, Starward is aged at high temperature in small Australian port and Madeira barrels, which allows the whisky to develop much faster than usual. The pitch: Johnnie Walker Gold is the perfect starting point for getting into whisky. Soft and buttery like shortbread; drink it for dessert paired with dark chocolate or soft cheese and dried fruit. It also makes a great gift for less than half the price of Johnnie Blue. The story: John Walker was one of pioneers of blending, taking various single malts and mixing them with softer-grain whiskies. He got his start blending teas for the patrons of his grocery store in Ayrshire, Scotland. The pitch: An easygoing drop with a subtle oak flavour reminiscent of good chardonnay (and a fantastic buttery texture to match), Tyrconnell is a great example of the single malt revival taking place across Ireland. The story: The once-booming Irish whiskey industry was all but destroyed in the early 20th century by wars, shifting tastes and American prohibition (which eliminated its main export market). Demand for quality whiskey has revived Irish production, and excellent, inexpensive single malts such asTyrconnell are the result. The pitch: Eagle Rare is sweet, fruity and earthy; everything a prestige bourbon should be, without the prestige price. The story: While they've recently dropped the phrase "single barrel" from the label, it's mostly a technicality, and this classic whiskey is still bottled one carefully selected barrel at a time. With single-barrel whiskies, it's impossible to hide imperfections through blending, so you know they're only using the best. The pitch: You're unlikely to find another single malt this complex and interesting for the price. Rich and vibrant with the taste of fresh apple and pears, there's a reason Glenfiddich has achieved huge commercial success. While sometimes thought of as commonplace and boring, this dram deserves a second look. 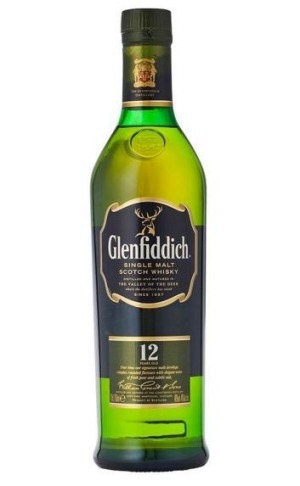 The story: Glenfiddich was the first distillery in Scotland to market its single-malt Scotch as a stand-alone product, and bears much responsibility for the success of the category as a whole. 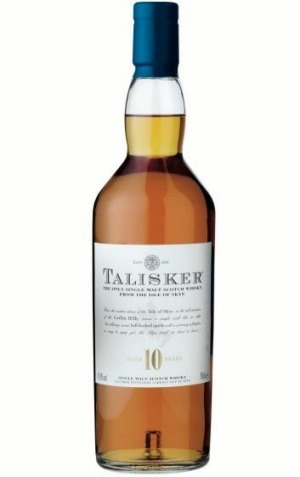 The pitch: If you're looking for an in-road to smoky whiskies, Talisker is a great place to start. Unlike the campfire-in-a-bottle drams from Islay to the south, Talisker is balanced; the smoke controlled by a savoury note that makes this a supremely easy-to-drink whisky. The story: Talisker is the only distillery on the craggy Isle of Skye, off the storm-beaten west coast of Scotland. The liquid reflects the place of its making: smoky and briny and not at all sweet. The pitch: If you like honey, this is the dram for you. The smell of bee pollen begs you to take a sip, and the buttered-toast-with-honey taste is the payoff you're hoping for. The story: Old Pulteney is the northernmost distillery on the Scottish mainland, in the small coastal village of Wick. The town was once only accessible by sea, and many of the distillery workers also worked as fishermen, a history reflected in the bottle's maritime artwork. The pitch: Glendronach Original is a superlative example of the sherried Speyside style so popular among single malts. It's all about the foreplay here, with a complex fruit-and-nut nose that shifts and develops in the glass. The story: The easily accessible ports of Speyside were historically the hub for the importation of Spanish sherries into Scotland. The enterprising Scots, unwilling to waste the emptied sherry barrels, would fill them with their whisky, imparting it with the richness of those wonderful wines. The pitch: One for the smoke lovers, this peaty whisky has a complexity that belies its youth. Smoked meats and fresh oysters on the nose are balanced by sweetness, but it's got all the charred wood smoke you're looking for on a winter night. The story: Pronounced "le-chig", Ledaig translates from Gaelic to "safe haven" and is made at Tobermory, the only distillery on the picturesque Isle of Mull.